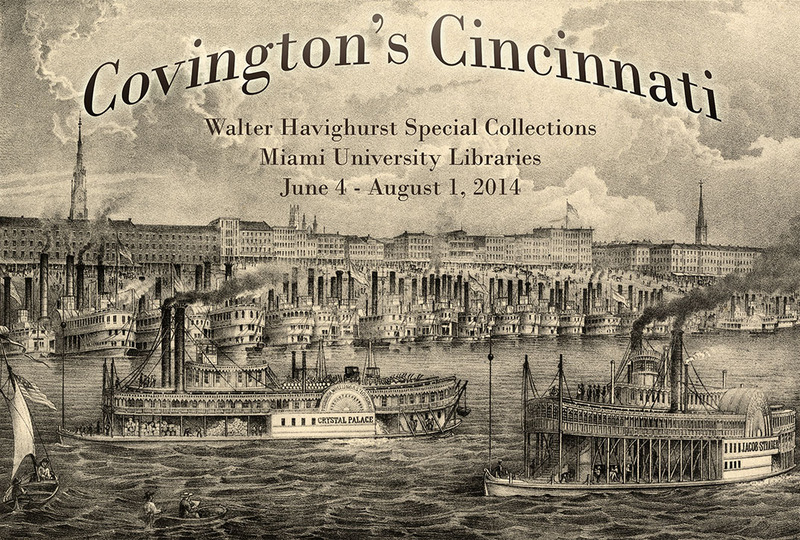 This Thursday, July 24, from 4 to 6 p.m., the Walter Havighurst Special Collections, 3rd floor, King Library, Miami University, Oxford, will host a reception honoring their summer exhibit: Covington’s Cincinnati. Jack White, MU ’58, former Smithsonian curator, and native of Cincinnati, will give a guided tour of the exhibit he guest curated. Please come for free refreshments, a little of Jack’s vast knowledge of Cincinnati, and a look at the background of one of Miami University’s major collections.